Sometimes it doesn’t matter how you get it as long as you get it! And today, here from disaster central in Muntchurch is one of those stories. Over the last 3 years we’ve worked hard and that’s been recognised by the travelling public who have written nice, not so nice and sometimes not really nice at all things about us on Trip Advisor. Thanks to a happy aggregate of these varying opinions, CentrePoint on Colombo Motel has been in the top 2 Hotels in Christchurch since 25 Aug 2009. One reason we’ve done it is because we deliver what we promise. If our website says you’ll get a smile on arrival than that is indeed what you’ll get. None of those “but we thought we would get….” Stories here! This presented us with a dilemma after the 22 Feb earthquake. In the space of 20 seconds almost everything good about us was destroyed. True, a lot of people are entertained by Jeff’s ??? (you choose the adjective) way of looking at the world and impressed by Naomi’s attention to detail, but we also got lots of points for being so close to the best Christchurch has to offer, and we lost all that. What’s more we were cordoned and curfewed for 17 days. The dilemma was, how could we possibly take people’s money (we don’t do this only for love you know!) without feeling guilty. These people booked on the good side of the shakey shake believing they would be staying in one of the best places in Christchurch! The reality post 22 Feb was very different. We still need the money to survive but we didn’t want to unnecessarily make people come and stay either. The last thing we wanted was unhappy guests. We’d rather try find a new type of guest that we can make happy. Cancellations galore rolled in after the quake, and we advised people to avoid Christchurch if they could, but we were able to fill a lot of rooms with international media and disaster recovery personal and this was our happy median - we were not disappointing anyone and we were able to sell rooms and keep some cash flowing in. 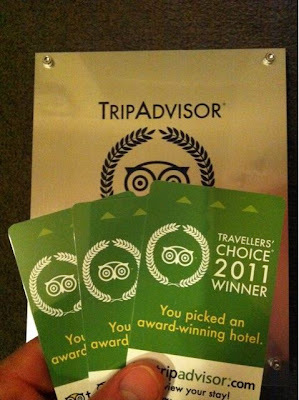 But we were concerned about how we could maintain our Trip Advisor status! Sure Christchurch is seriously munted but it’ll slowly get better and we’ll be here guiding visitors and making sure they get the best out of what there is left of Christchurch. So it would be nice to keep our ranking! Step up the sympathy vote!! What we have noticed since the quake is a lot of our previous guests stepping up and taking the time to write their reviews now. It is truly uplifting. What can we say? First we say thanks, thanks for writing and thanks for thinking of us. Second we say thanks again, cos it gives us a little lump in our throats to read the messages of encouragement from so many guests that have stayed with us in the past. 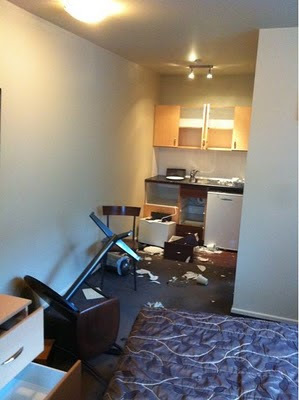 Our motel has been bloody good in the past and will be bloody good again, we just need to get through these first few months till Christchurch gets off its knees and past guest’s comments is one way we’ll do it. To those who have taken the time – thanks. To those who haven’t – now’s good! 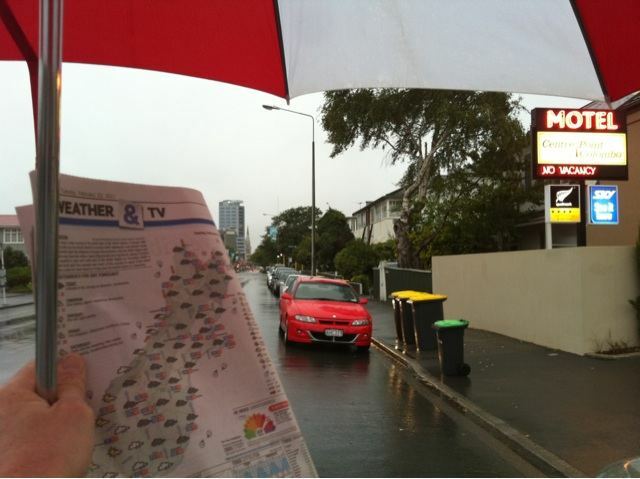 In the meantime, we’ll be getting info out as best we can, telling people about the situation at CentrePoint on Colombo Motel and how we can help you enjoy Christchurch. Sometimes that will involve telling potential guests to stay in another part of town, but we’d rather do that than just taking their money. 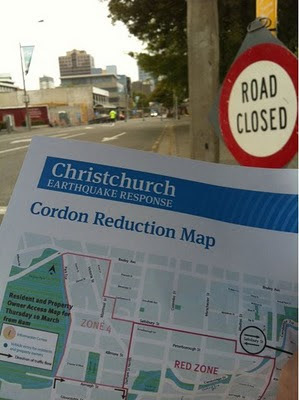 The Rapid Assessment is an important part of the Christchurch recovery effort with every house in Christchurch being visited in the 8 weeks from 11 March to divide all houses in Christchurch into 5 groups. We had ours yesterday and got the “no structural damage” top ranking which is what we expected. 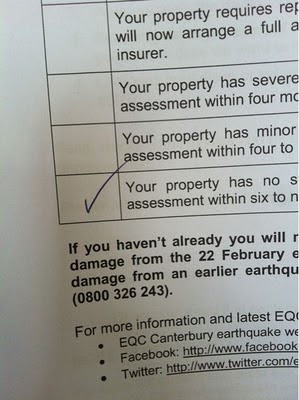 The EQC or Earthquake Commission is a quasi-govt insurance system. Everyone that has private house insurance pays a compulsory part of their insurance premium to the EQC. 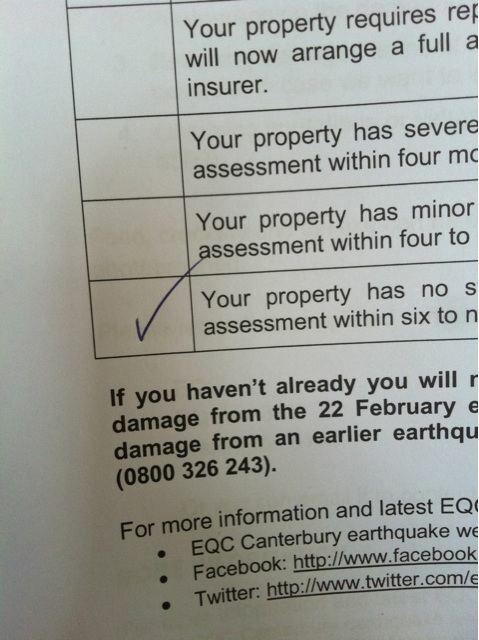 I always thought it was bloody stupid since Christchurch doesn’t have earthquakes….mmmmmm. How it works is that the first $100,000(plus GST) of earthquake damage is covered by the EQC and anything after that by private insurance. Weird indeed, why $100K? This is because when the system was set up in 1979, that amount covered most houses. There was not an inflation component built in. 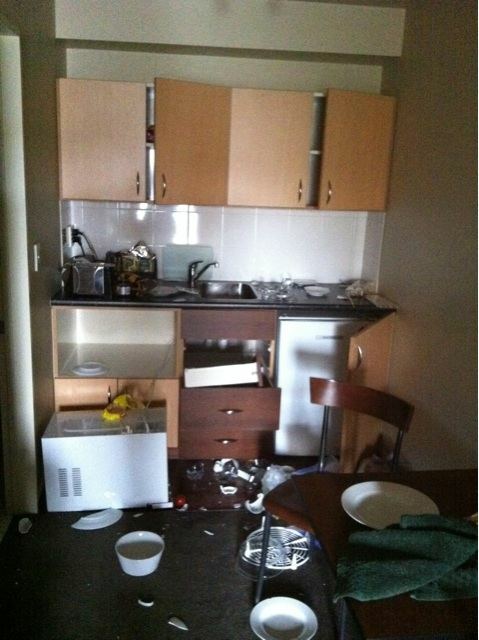 EQC also pays up to $20,000(plus GST) for contents damage. The rapid assessment programme is a first in NZ and came about from the problems that arose from not having a good programme in place after the September quake. Our assessor arrived without prior notice (part of the system), looked around the residential area, sat down, tapped away on his ipad (not a 2) and then left, all within about 15 minutes. We now wait 6-9 months for a full assessment. We don’t mind because many other are far worse off than ourselves. Following on from the last blog, here is how we are coping with guests wanting to book with us. We’ve made a name for ourselves by being a good motel in tip top shape, offering bloody good service with friendly personalities, and being close to town. The reality is that people are still looking to book based on that information and so we feel we have to tell them the real situation we are faced with here just a stones throw from the Red Zone cordon. After that its up to them whether they cancel or not! 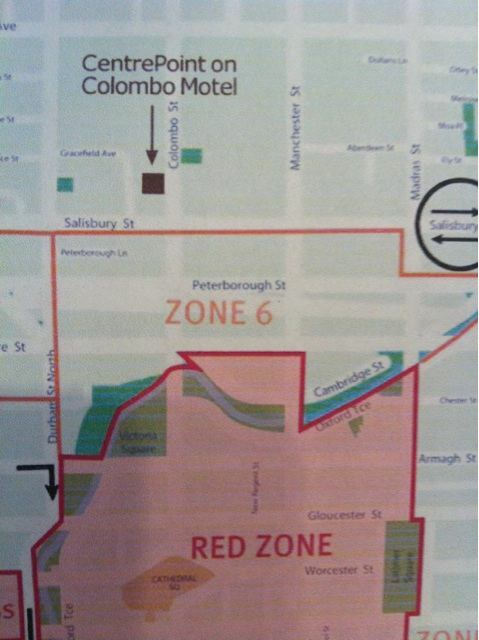 We are just a stone throw from the Red Zone Cordon. 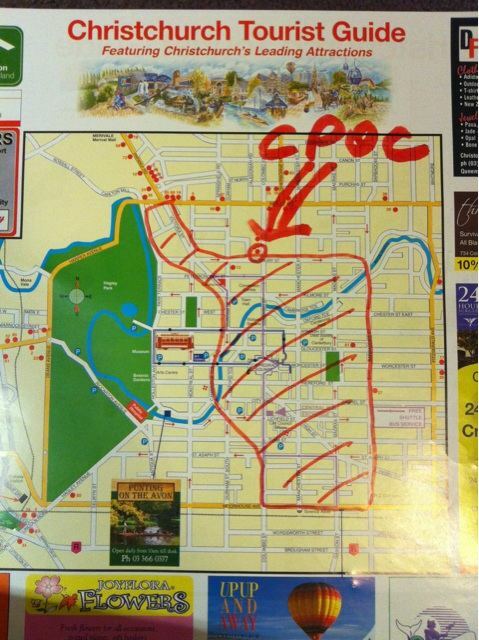 This is about your planned visit to Christchurch. We’d like to explain how it is here so you can make an informed decision about staying with us. While we are fully operational, the condition of the surrounding area means we are not as convenient to stay at as before. Until 22 Feb. we were the Closest Luxury Motel to the City Centre, but the city centre is no more. Depending on the area referred to, it is estimated that 60% to 80% of the buildings in the CDB will have to be demolished. Sure you could come and stay but there are no longer any shops or restaurants in the area that can be walked to. Driving is necessary. The other thing is that the traffic can be gridlocked and what used to take 10 minutes can easily take 30-40 minutes depending on the time of day. 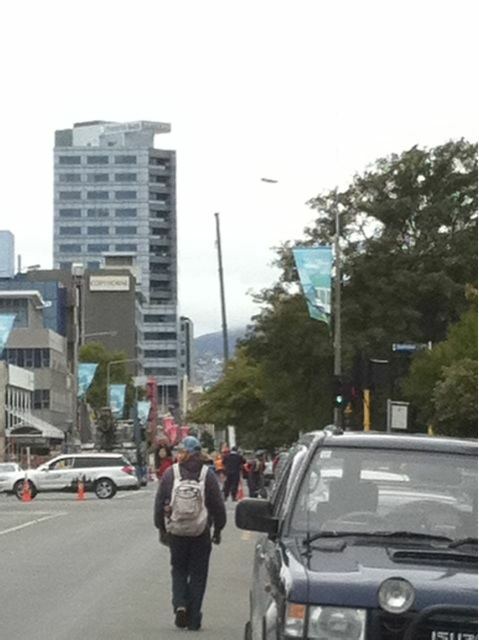 The centre of Christchurch is still cordoned and the Red Zone no-go area barricade is just 50 metres away. This makes us somewhat isolated from the accessible part of central Christchurch where the Botanical Gardens are open. To get there is a 40 min walk one way. Naomi and I would love to be able to welcome you to Christchurch, but please be aware that our current situation is very different from when you made the decision to stay with us. We are staying here to help rebuild this wonderful city and we look forward to welcoming you to a new Christchurch in the future! We have already blogged about winning this award, but now there’s more! It would be nice to be able to write about something other than a bloody earthquake, but it just about impossible and today is no exception. Since 25 Aug 2009 we have been ranked either 1 or 2 on Trip Advisor in Christchurch. If you want to know why just read the 244 reviews we have. In short we do it by keeping our motel in tip top shape, offering bloody good service, having friendly personalities and being close to the best of Christchurch. 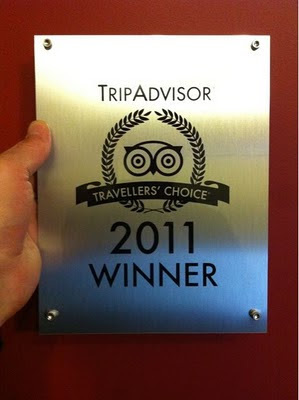 Our efforts were rewarded and we were honoured this year to win the Trip Advisor Travellers’ Choice Awards. And we have now received the plaque and room cards to go with the award! Only problem is that there was a bloody great earthquake in the middle that has changed everything. The future is uncertain in our present position, we are still only a short walk to town, but town is not there and won’t be for quite some time! We are also limited in restaurant choices. Sometimes we think we may as well be on Mars. But this is life in post quake Christchurch so we’ll just go on as a motel in tip top shape, offering bloody good service with friendly personalities ……close to the Red Zone. 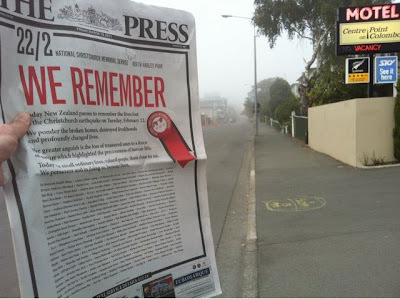 Christchurch Earthquake - One month on looking back…. As I start writing this it is 2 hours till the 1 month period. We’re 1 month closer to Christmas but who really thinks about that and who cares. Is life back to normal? Well that depends on the definition. Although Mr12 is being bussed to another school, both kids are back at school and their social activities are up and running and that gives them some regularity and certainty. The motel continues to run and we have transformed from being only minutes from the best of Christchurch to being the closest to the devastated Red Zone! People here for the recovery make up the majority of our guests now. It’s quiet in this part of town with little or no traffic but there is the occasional roar as another truckload of central Christchurch rolls past on its way out of town. So what happened to us that fateful day? What were we doing at 12.51pm? Jeff was in room 12, you know the one, its our banner room on our homepage. I was up there with one of our housekeepers checking the room. I was standing right by the corner of the bed in the photo and our housekeeper was by the lazy-boy. All I could do was brace against the bed and listen and watch. 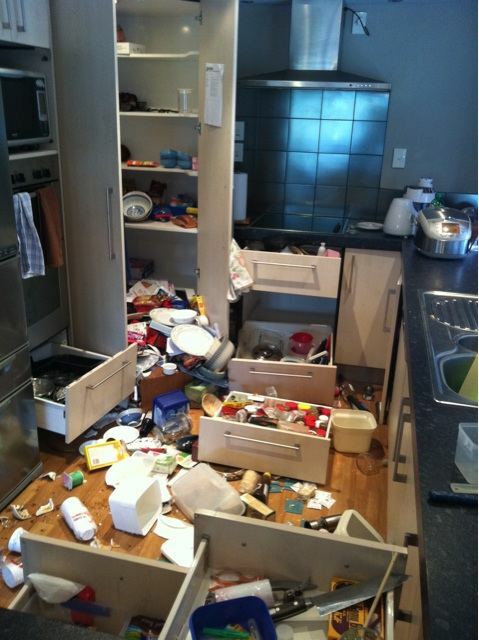 Behind me everything was flying out of the cupboards and drawers. I kept an eye on the wall and ceiling joints, guessing that that would be the first place to give way. This was different from the September quake, this time I knew it was real. September was a jiggy jiggy quake. Sure the fault line moved but it moved nicely, politely. There was lots of jigging up & down but not much sideways movement. This time was different. It was a violent East-West movement and the kickbacks were incredible – that anything could be shaken like that was amazing. 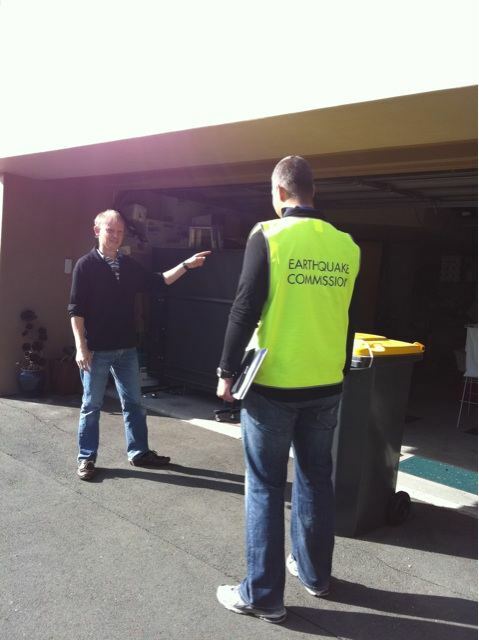 As the quake eased off our housekeeper and I rushed outside and when we got to the carpark the ground was still moving. Naomi came running out from the garage area. She had been in the lounge and took cover under the table, holding onto the table leg. Naomi later related that it was like being on the earthquake machine in Japan. When we tried them in Japan we always thought it was not real but this time it was very close to the experience the earthquake machine provided. In amongst the natural anger, we were learning. In the carpark, we could hear alarms going off everywhere and we could also hear the hiss of gas. There were bottles leaking gas nearby. Due to the danger we got everyone out of the motel building and out to the gate. The ground was continuously rumbling and one of our potplant cactus keep rolling around the carpark! After one major quake and 6 months of aftershocks we knew what had happened and we knew it was bad. People leaving the city centre told stories of the cathedral being down and the destruction of the inner city - people being crushed to death, crushed buses were mentioned. Staff and guests were all ok…next was the family. A quick call to Jeff’s M&D revealed they were ok but shaken. Next was the kids at school. That day at 12.51pm, mr12 would be at school but mr15 had the day off due to a teachers strike….he could be anywhere. By this time the phone lines were becoming paralysed, it was 3 hours before we heard from them. Of course we were worried and it was great to hear they were still alive. We followed the “stay put” principle. They could be anywhere and chasing them could be useless. They knew we would be at home waiting for them and they came home. Being kids they were excited amongst such horror and we followed their lead, not wanting to deny their feelings. To be honest, after that there was not much to do, we still had guests, we still had rooms, we were still in business and we were alive. We once again began the recovery. 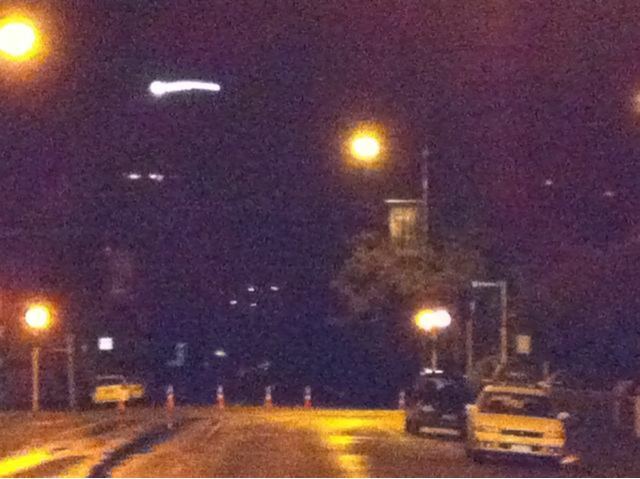 Soon after the quake, being able to see the BNZ building means the Cathedral Spire is not there. The crane is starting the rescue from the Forrsyth Barr Building. Writing this 1 month later, the urgency and the passion is not here so I refer to an email we began sending out that night to people asking if we were ok. It reflects a weird mixture of devastation and hope held up by ignorance – at that stage we just did not know how bad it was. We didn’t go to the memorial service today. Maybe we should have but we didn’t. We don’t feel any better for not going….and we don’t know if we’d have felt any better if we’d gone. Motel work did have an effect but not as much as the emotional effect. Friday's paper - names of souls no longer with us & area many of them died shrouded in morning fog. To be honest, we are emotionally quaked out. In the space of just over 2 weeks we’ve had to deal with massive disasters in both NZ and Japan and it’s been hard. Just as we were getting over the Christchurch quake, the day we got out of cordon and curfew, and looking for some light relief we were hit by the Japan quake and subsequent tsunami destroying so much of what we knew, live on TV. It’s been one of the darkest few weeks of our lives, and it still isn’t over. Two disasters hitting so much we know and love has been hard and I think wanting to get away from it all was the main reason we didn’t go to the memorial service today. We stayed at home, watched on TV and cried. It was beautiful to see so many referring to the disaster in Japan – we do know how they feel and what they are going through. 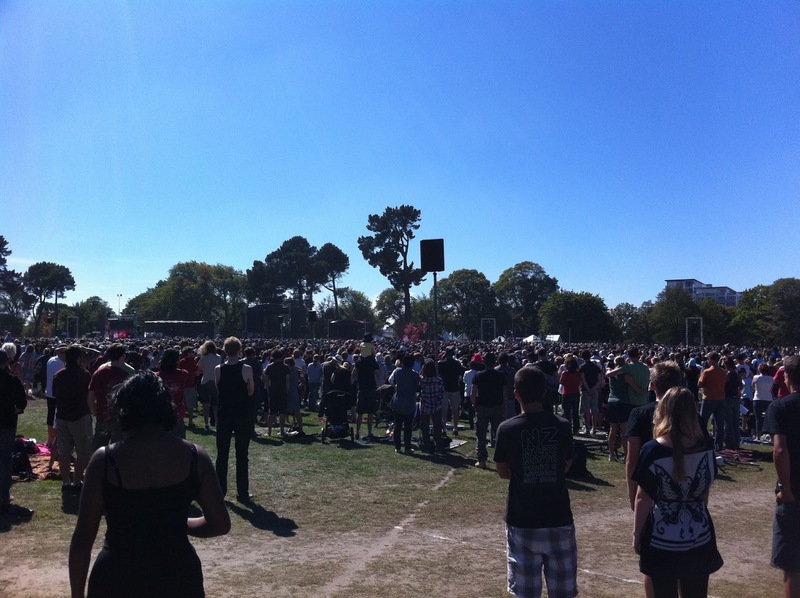 We did have our reasons for not going but they were negated by the raw power of the Memorial Service. It was an amazing thing. We thought it was too soon because some people’s names have not been yet announced but everyone gracefully spoke around that fact and included those poor souls. We though it was too soon because the city is still a mess, but it was only a few hours. We though it was too soon because we still don’t know the extent of the tragedy but it is a tragedy. We thought it was too soon but it was an amazing tribute to an amazing, but munted city. We love our families, friends and city, and today we grieved for our families, friends and city. We also love our friends and places we know in Japan and today, one week from their disaster, we grieve for these friends and places. There is still so much to grieve for in both countries but somehow our love will keep us going. Life took another step back to normality today with mr12 starting back at school. Mr15 had started on Monday after a 3 week break. Mr15 is back to his same old routine but things are a bit different for mr12. His school is rather munted. Just how munted is yet to be revealed by more intense examination but the whole school area is currently a no go area. So today he started school at a new school site. His school is still operating, just borrowing a part of another school to operate. He and his school mates are what is now being referred to as transported students. Around Christchurch there are some 6000 students from 8 schools being transported everyday to other school sites for their education. Primary children, meaning up to year 8 - mr12’s year, are having normal hours but high school students are having morning/afternoon school. For example, Avonside Girls High School is busing across town to Burnside High School. Burnside High students have the school from 8 to 12 noon and then Avonside Girls High have the school from 1pm to 5pm. Shirley Boys High School is sharing with Papanui High School. Not really what can be called productive education but better than nothing. So now Mr12 bikes to his friends place, then they bike together to the bus pick up point – they have to be there by 8.15am - and they are then bussed the 20 minutes or so to the new school site. The school they are using is big enough and has enough space for 2 schools of students. After school they do the reverse to get home. After day one, mr12 was upbeat about it and I would be too, after all the excitement of the last few weeks they are taking it easy and slowly getting back into the school routine! Great to see another step towards normality here in Christchurch but we feel for the higher level students who are going to find it a uphill battle through the year as they battle with school sharing.